Zoosk vs. Elite: Which Online Dating Site Gets the Rose? As online dating becomes increasingly popular and successful in Australia, so does the sheer number of dating apps and sites that keep popping up all over the place. Nearly one in 10 Australians have found love online and more than half of Aussies have tried online dating. However, not all dating sites are created equal, and instead of wasting time trying them all, make sure you’re well informed about what each site has to offer. You won’t need to look too far to come across two of the most popular dating sites, Zoosk and EliteSingles​. Both have millions of members and a high success rate, so how do you find the best online dating site for you? This head-to-head battle compares the two sites on important stats such as pricing and features to find out who comes out on top. Both Zoosk and EliteSingles are great choices. Zoosk has a huge reputation in the world of online dating and with behavioral matchmaking technology, and with over 38 million members, it has some impressive stats. 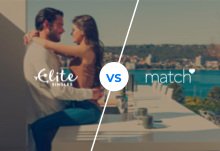 On the other hand, EliteSingles doesn’t disappoint; it already has a strong following in Australia and also uses a scientific matchmaking system. So how do you really chose between the two? Let's take our gloves off and get down to business deciding which site really has the edge. With both dating sites, you can create a profile and start searching for free, but like all good things, online dating comes at a price. If you like the look of a member, and want to start communicating with them, you’ll need to pay up. Zoosk offers a great value subscription fee; if you sign up for a 6-month membership you’ll only be paying $14.95 per month. If you’re inclined to start slowly however, a 3-month membership is $24.95 per month and you also have the option to join for 1 month at $34.95. EliteSingles pricing is more costly, with the 6-month membership option coming in at $64.95 per month and the 3-month membership at a whopping $89.95. Your best bet money-wise is to choose the 12-month membership which is $49.95 per month, but that comes along with a 12-month commitment. In terms of signup process, Zoosk definitely wins this round. You can sign up in seconds, and only need to give the site your very basic details like age, gender, and gender/s (gay & bi-friendly) you’re looking for. Once you’ve verified your email address you can then start browsing matches, although Zoosk will prompt you to add more details like profile photos and lifestyle details before you start communicating with other members. EliteSingles on the other hand, can take up to 45 minutes to complete the in-depth personality questionnaire that can analyze up to 29 character traits. Although this is a time-consuming task, once you’re done EliteSingles starts to do the work for you, and the more rich and comprehensive the profile, the better the chances of finding a match. However if a long questionnaire is a drag, Zoosk will work better for you. Both sites have a really great user interface. EliteSingles has a slightly different desktop site to its app, with less features appearing on the app version, and the desktop version being slightly more comfortable for first-timers. Once you finish the signup process and get the hang of how the site works, you’ll then have no problem using the app. However the desktop site will offer features for sorting and filtering that the app doesn’t offer. The site is clear and uncluttered and once a member's profile appears, you’ll get all the information, including a short bio. A great perk of EliteSingles is that unlike other apps, it doesn’t drain your phone battery! Zoosk too has a great interface and is far more technologically friendly while still being uncomplicated to use. Zoosk places social media at the forefront of the site, so everything will feel nicely familiar and user-intuitive. Zoosk’s app is far more superior to EliteSingles and ranks among the highest grossing apps for iOS, Android and Amazon. One of the most important aspects of a dating site is how you’re matched with other potential singles. Zoosk has a patented Behavioral Matchmaking technology, which using a special algorithm, analyses each member's messages, replies and viewed profiles. This is great if you are more inclined to have the site work for you, since the more you use the site the better your hand-picked compatible matches are. However, if you do want to take a front seat and fill out the various profiles categories, this is also beneficial as the algorithm operates by matching people based on similar interests, so either way- you can’t lose. 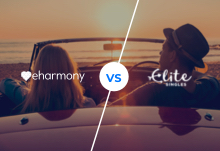 EliteSingles has a rival matching process, however the site does this through an extensive (and lengthy) personality questionnaire with over 100 questions. There is an upside to this though, as you’ll get rich comprehensive profiles, and according to EliteSingles the more information you add to your profile, the higher the chance you’ll get messages from other members. Like most online dating sites, Zoosk and EliteSingles boast some nice additional features. EliteSingles members receive between 7-10 data driven matches throughout the day, and you can also browse through approx 20 extra bonus wildcards matches. The site has a private inbox for messaging and allows users to share photos, winks and links to one another as well as customized questions (in case you’re wracking your brain trying to think of a way to start a conversation). An additional perk is EliteSingles’ own special dating magazine, named Elite Magazine, providing members with tips for online dating. Zoosk offers members communication features including the option to send winks, flirts, online gifts, and instant messenger to chat with members online. Zoosk also has its own currency, known as Zoosk coins. You can earn coins by filling out questionnaires and then use the coins buying extras like a ‘ boost’ which allows you to highlight your profile to get more responses. Dating sites hold a lot of information about you and it’s important the site has safety measures in place. EliteSingles uses a special secure website and firewalls to protect your user information like credit card details. It also uses filters to stop messages being delivered with offensive words or content, and promises not to sell your information to third party companies. Zoosk is also serious about privacy and safety, with special identity checks for every member and a private browsing option. 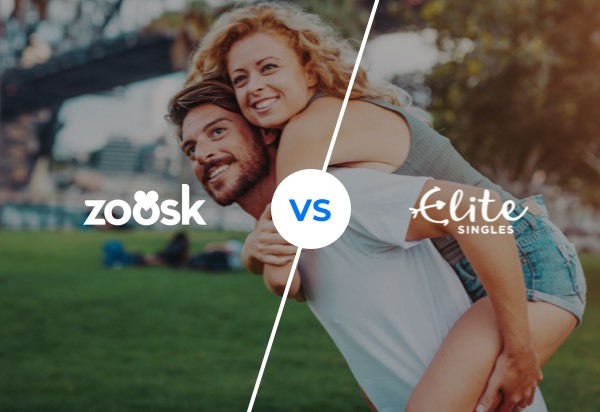 Clearly both sites are winners in the online dating industry, but when the two go head-to-head in battle, Zoosk takes the gold standard. Neither sites encourage casual encounters, but EliteSingles is aimed largely at professionals and therefore takes it’s matching more seriously. The signup process can be a big turn off for potential members and the prices are considerably higher than Zoosk. At the end of the day, online dating should be engaging and playful and Zoosk is set up for enjoying yourself while still searching for the perfect match.